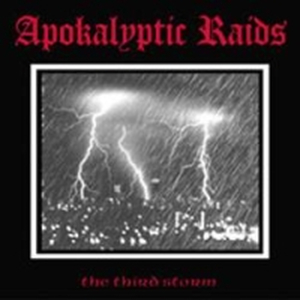 At long last, HELLS HEADBANGERS reissues on vinyl an underground classic so fitting of the format: APOKALYPTIC RAIDS' The Third Storm, originally released in 2005. From their moniker and iconography on down to their galloping, gut-busting thrust, Brazil's APOKALYPTIC RAIDS are the ultimate in Hellhammer/Celtic Frost worship. Raw, rabid, and unrepentant, their sound on The Third Storm is squarely between the namesake MLP by Hellhammer and Celtic Frost's eternal Morbid Tales. 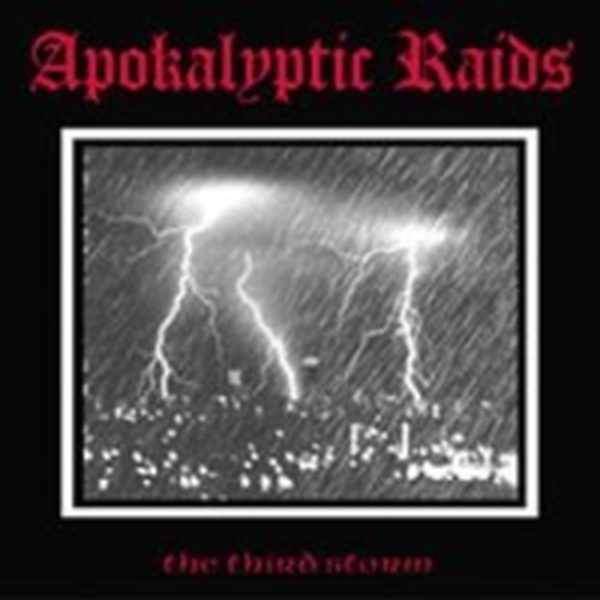 However, APOKALYPTIC RAIDS' old-school attack is not meant as a rip-off rather, it is a reverential homage to a classic era and two classic bands, done with a thorough understanding of these ancient metal masters. Here, with their third album, the band incorporated a greater concentration of more traditional-minded metal and speed metal, proudly declared at both the beginning AND end of the album by I'm a Metal Head. Despite this relative advancement, The Third Storm still sounds lke it could've just as easily come out in 1985. Now, courtesy of HELLS HEADBANGERS, return to the darkest past and unleash The Third Storm!